The Bristol Press - Sports bar coming in August to Bristol's N. Main St.
Sports bar coming in August to Bristol's N. Main St.
BRISTOL - Bristol Sports Bar & Grille is planning to open in a month at the former location of Milestone Restaurant, offering a casual atmosphere for people to come and catch the big game while enjoying a cold brew and good food. 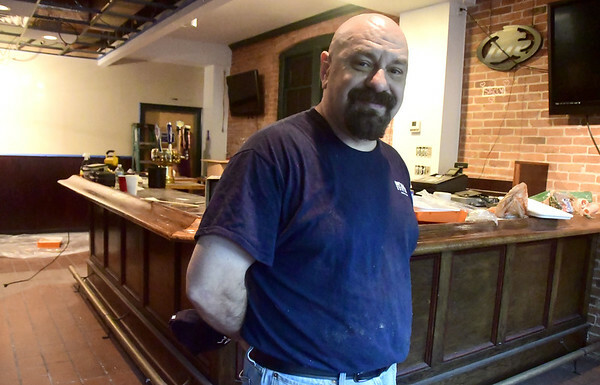 Bristol Sports Bar & Grille, at 369 N. Main St., is owned by Jim Stamatopoulos, who also owns LJ’s Pizza at 101 Maple St.
Stamatopoulos said one of the reasons he was inspired to open a sports bar downtown was seeing the Bristol Hospital building being built at Centre Square . Bristol Sports Bar & Grille will have 14 television screens on the walls and Stamatopoulos said he is buying an NFL TV package so everyone will be able to watch their favorite teams. The sports bar will seat 78 people. Stamatopoulos said his menu will consist of burgers, chicken wings, nachos and sandwiches at reasonable prices, with daily specials. He will begin with six beers on tap. Bristol Sports Bar & Grille will begin serving only dinner, but Stamatopoulos said he may expand his hours to serve lunch as well if the sports bar proves successful. Bristol Sports Bar & Grille will be open from 4 p.m. until the state-mandated closing time Monday through Friday and from 11 a.m. through closing Saturday and Sunday. A website with a menu is under construction and a grand opening will be held when the sports bar is ready to open. Posted in The Bristol Press, Bristol, General Business on Tuesday, 17 July 2018 20:41. Updated: Tuesday, 17 July 2018 20:43.